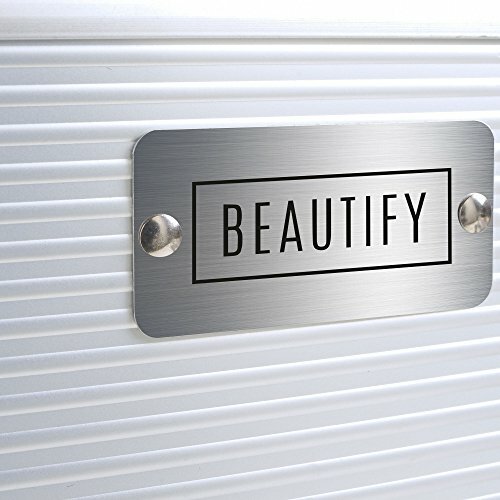 Add a professional look to your beauty storage with the Beautify Silver Vanity Case. 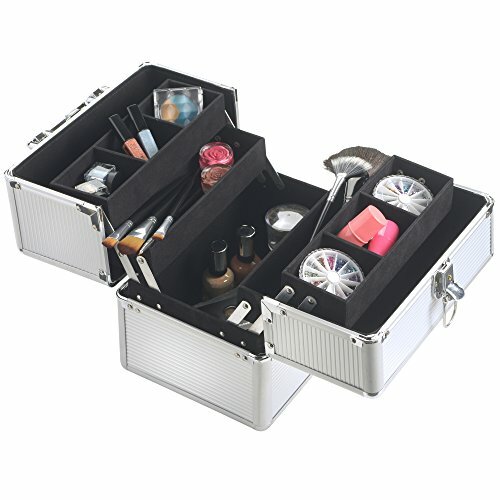 Fantastic for professional salons, makeup artists and home users alike, this contemporary beauty case is ideal for storing, transporting and protecting all those beauty essentials you can’t live without! 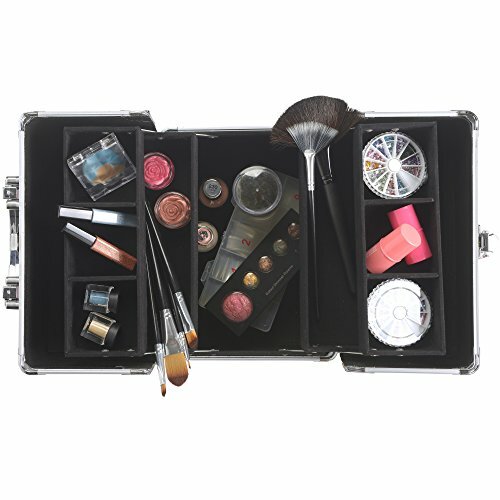 Powders, eyeshadows, foundation, lipsticks, liners, varnishes, skincare products, brushes, accessories and everything in between – you’ll have more than enough room in this super-spacious case. 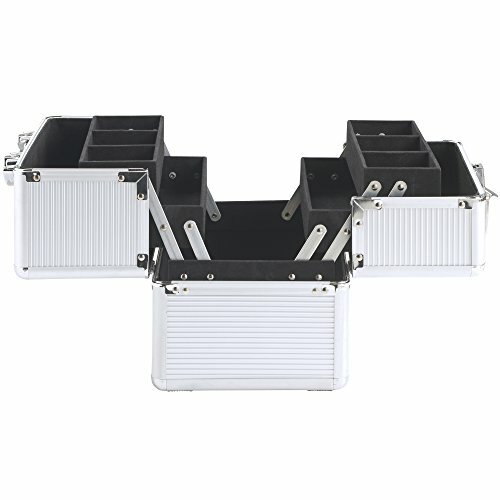 Extremely spacious three tier design comes equipped with 9 separate compartments in the top extendable trays, two trays below and large bottom section for bigger beauty bits. 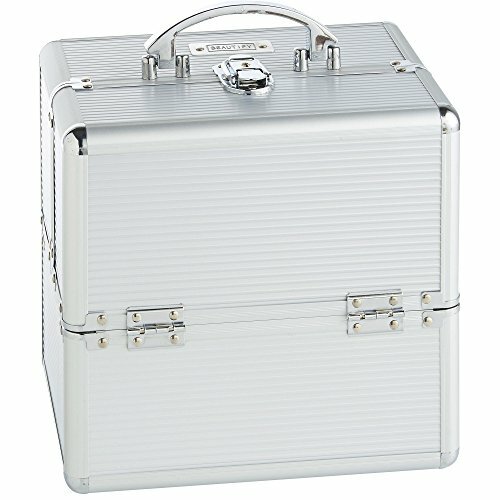 Built to last, the case features a strong PVC outer hard case with stylish silver design with silver frame and plated corners. A soft velvet lining adds to the overall look and helps to protect contents. 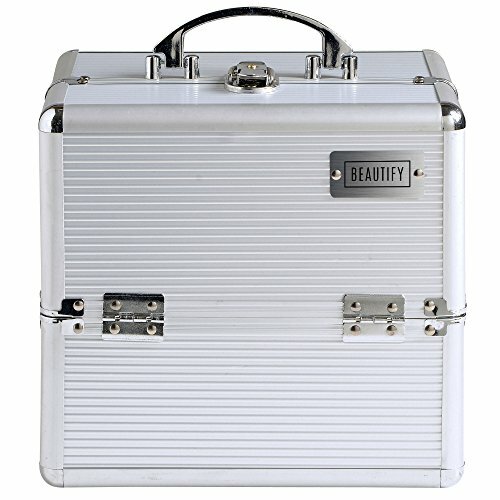 Comes with a carry handle for easy transportation plus a lockable front clasp with two keys for security. Easy to clean – simply wipe down. Full size: L9.8 x W7.3 x H9.1 inches. Sleek Silver design with soft velvet lining. Features silver aluminum frame and corners. 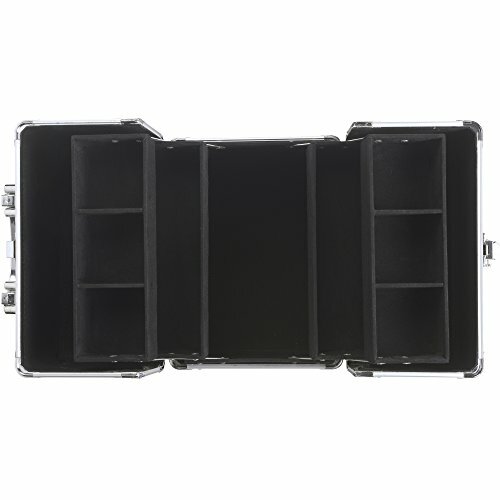 Includes lockable front clasp with two keys for security, plus a carry handle. L9.8 x W7.3 x H9.1 inches.